The DonJoy Performance POD Ankle Support Brace is engineered to maximize the athlete’s natural range of motion while providing exceptional support. “Protection On Demand” technology engages specifically when needed to proactively prohibit ankle roll and other common ankle injuries. This ankle brace is engineered to maximize the athlete’s natural range of motion while providing exceptional support where support is needed. The molded TPU shell adapts to match the anatomical shape of any foot. With a low profile design and adjustable Velcro closures, this ankle brace is sure to feel like it’s customized to fit your foot. A super soft EVA underlayer lining hugs the foot and ankle for ultimate comfort without being overly bulky. With this underlayer being so light, this brace is easy to fit under shoes or cleats. 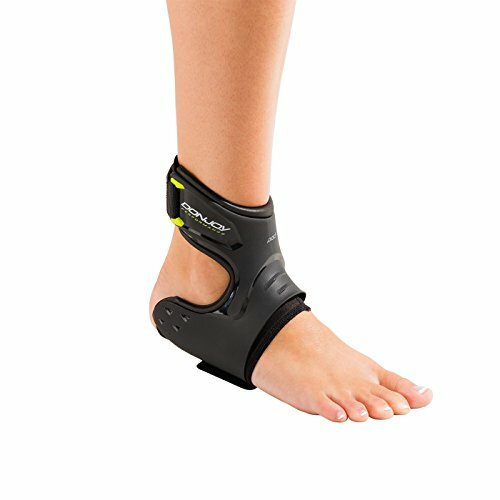 The DonJoy Performance POD Ankle Support Brace is designed to treat and protect against ankle instability, inversion and eversion ankle sprains, and roll control.